Hear from Aboriginal leaders from across Australia and Canada about how renewable energy is empowering their communities. 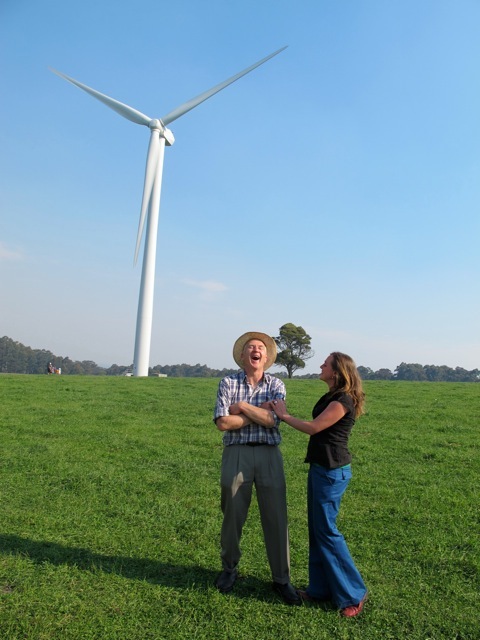 There are now over 50 fully operating community energy projects in Australia today, with more on the way. This session aims to inspire the possibility of more community energy projects, celebrate achievements, acknowledge challenges and showcase a range of community energy stories of success. This participatory session brings together experts talking about the mid to large scale renewable projects, what they can mean for communities both in regards to partnerships and local benefits - how can communities partner with developers and how can they get ready for the coming energy transition. This participatory session brings together experts from the community energy, legal and finance sectors to share their experience and advice in pulling together complex community renewable energy projects and mitigating risk. Community energy projects are emerging all over the world as people try to find ways to either transition their regional economy away from fossil fuels, or to avoid new projects being established. In this session, local leaders will share how they are working to build new energy systems while strengthening their local economy. Come and hear how these projects got started, the challenges they have faced and how they have overcome them. Find out how your project can grab headlines and make the media part of your launch event. This Climate Media Centre workshop will provide an insider’s guide to the way the media operates, practical tips and techniques that you can immediately apply and a resource to take with you. Chaired by Claire O'Rouke in this session you will hear from political leaders from South Australia, ACT and Victoria on their plans for unlocking community energy. Maximising value: solar, storage and all things trading. This session will offer the opportunity to debate how community energy will intersect with innovative technologies and business models in the form of energy storage, demand response and local electricity trading. To accelerate a transition to 100% renewables we need a grid that is safe and reliable and least cost to generate, transport and store our energy. Join the discussion on how new ways of communities working with network companies is unlocking value for customers, communities and the networks themselves. Workshop - Renewable energy in Canadian First Nations; what can we learn for Canada for Aboriginal communities in Australia? Hear about 15 years of successful First Nation's community building through renewable energy projects in Canada and what that means for Aboriginal renewable energy in Australia. This session will explore why it's so important to build community and political support for your community energy project - and what that looks and feels like. We will hear about inspiring examples and discuss techniques that can help you grow your project team, deepen community ownership of your project and persuade politicians and other gatekeepers to either champion your cause or get out of the way. Going deep: delivering 100% local renewables This session will offer the opportunity debate how innovative technologies and business models can be used for coordinated local delivery of 'zero net energy' or '100% renewable' communities. You'll hear about rapid energy efficiency delivery, community bioenergy, and electric vehicles. This session puts innovative energy retailer partnerships sharply in focus, to understand how partnerships between community energy groups / projects and retailers can be created for mutual benefit. We'll hear from a variety of retailers on the partnership models they are rolling out that have big potential to accelerate community energy and from community energy groups on the benefits they have found in partnering with retailers. A facilitated panel and participant discussion about the ways in which low income, locked-out and vulnerable Australians are experiencing the energy transition, and key options and examples of solutions to improve their participation in this transition.